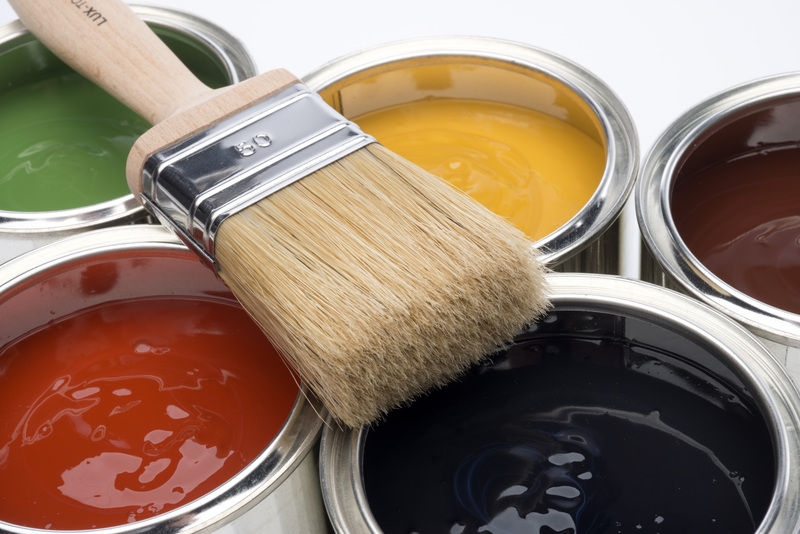 Specialty chemicals company LANXESS is showcasing its broad product range for the paints and coatings industry at the European Coatings Show (ECS) in Nuremberg, Germany, from April 21 to 23, 2015. Its exhibit includes colorants, biocides, flame-retardant additives and benzyl products for manufacturing premium coating materials. One show highlight is the presentation of the bright red pigments with particularly high chromaticity, which will be produced in Ningbo, China, starting in early 2016. A test reactor in Krefeld-Uerdingen, Germany, is already producing the new grades for testing purposes. Visitors to the LANXESS stand will be able to see a 1:250 scale model of the production facility. In the morning of the first two days of the show, there will also be a presentation of the construction progress via a live video link to the site in China. On Monday, April 20, 2015, Stephen Spiegelhauer, head of the Global Competence Center Paints & Coatings at IPG, will discuss the new red shades in his presentation “The reddest iron oxide pigments ever” at the European Coatings Congress. The LANXESS Rhein Chemie Additives business unit is presenting not only high-performance pigments such as Bayfast, but also its extensive line of Levanyl and Levanox-brand pigment preparations. Based on organic and inorganic high-performance pigments, these versatile products make it possible to combine brilliant and pure hues with excellent lightfastness and weather stability. LANXESS is also showing its benzyl products at ECS. The main exhibit is benzyl alcohol for the production of premium colorant and coating formulations. LANXESS is the world’s largest manufacturer of this high-purity substance, with production sites in India and Germany. With these two world-scale facilities on separate continents, the company is ideally positioned to supply this key chemical to global corporations with numerous production locations as well as to small-to-medium enterprises in a wide range of countries. “As a consequence of our continuous optimization of our logistics processes, we provide our customers with high supply reliability,” underscored Thomas Krüger, global product marketing manager for benzyl products in the Advanced Industrial Intermediates business unit. As one of the leading manufacturers of biocidal active ingredients and biocide formulations, the LANXESS Material Protection Products business unit (MPP) offers a comprehensive range of products for the paints and coatings industry. The preservatives protect wood coatings, emulsion paints, coatings and plasters from microbial attack. LANXESS developed Preventol A31-D for use in exterior coatings, such as algicidal and fungicidal facade paints. The aqueous dispersion contains slow-release diuron and an innovative combination of fungicidal active ingredients, meaning it displays a broad spectrum of activity even in low concentrations. It also has a positive toxicity profile and contains no components with VOCs. Detailed information about the company’s products is available on the Internet at www.lanxess.com. LANXESS is a leading specialty chemicals company with sales of EUR 8.0 billion in 2014 and about 16,600 employees in 29 countries. The company is currently represented at 52 production sites worldwide. The core business of LANXESS is the development, manufacturing and marketing of plastics, rubber, intermediates and specialty chemicals. LANXESS is a member of the leading sustainability indices Dow Jones Sustainability Index (DJSI World and DJSI Europe) and FTSE4Good.